Can I charge my iPod Nano 2012 with the iPad USB plug? I have a brand new Nano, and was wondering if I can use the same electrical connector that I've received with my iPad2 to charge the Nano? Will it be armfull for the Nano? The short answer is yes. The rule of thumb when dealing with DC power adapters is to ensure that the polarity and voltage matches and that the adapter can supply at least as much current as the electronic device requires. Incorrect voltage or mismatched polarity can damage an electronic device; insufficient current will only result in insufficient power to operate or charge the device. However, all USB power sources provide 5 volts regardless of whether they are ports on your computer or AC chargers, and both the USB port and Dock Connector are standardized in terms of polarity and can only be plugged in one way. Therefore, your iPad, iPhone and iPod models all use the same voltage and the iPad and iPod adapters supply the same voltage, as do your computer’s USB ports and third-party USB power adapters. Basically, if it’s a USB device, it’s always 5 volts. However, although all USB devices run at the same voltage, some like the iPad require more power (wattage) than others. Since power is a factor of voltage and current (amperage), and the voltage in this case is a constant, then the charger must be able to supply more current to meet the increased demand for power. In the case of the iPad, the USB charger is able to provide 2.1A of current (or 10W of power); by comparison, standard computer USB ports normally provide only 0.5A (2.5W), and most USB chargers provide between 1A (5W) and 1.5A (7.5W). Some computer USB ports can provide up to 1.5A expressly for charging purposes, and modern Macs can even provide the 2.1A required for iPad charging on at least some of their USB ports. Regardless of the current available, however, electronic devices only draw as much as they need. This means that if you connect an iPhone or iPod to an iPad charger, it will still only draw around 1A of current—the charger effectively runs at a lower power level, supplying 5W of charging power. Conversely, when you connect an iPad to an iPhone charger, it will try to get a full 2.1A, but won’t be able to as the charger is only capable of supplying 1A. This results in a considerably slower charging time as the iPad is effectively draining the battery as fast as it can be recharged. The bottom line is that you can plug any USB device into any USB charging port without having to worry about damaging anything. 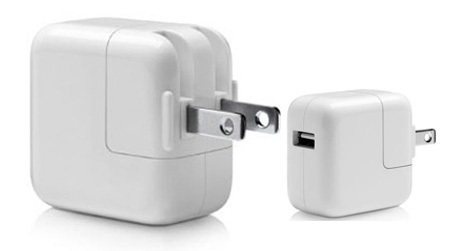 It’s worth noting, however, that many cheaper USB charging accessories do not properly comply with the USB Battery Charging Specification and as a result many electronic devices—including the iPad, iPhone and iPod—will not detect these as valid chargers and will refuse to draw any power at all. This will still not harm anything, however—they simply won’t work. Not the answer you're looking for? 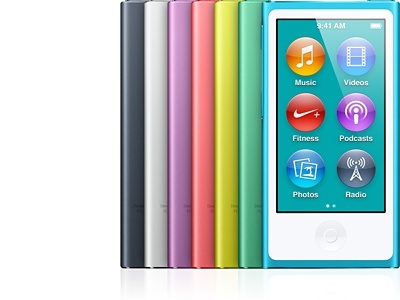 Browse other questions tagged ipad battery ipod-nano .